This local winery is open through December. If you are interested in purchasing wine, simply call or email Sovereign Cellars. Or just come on over. 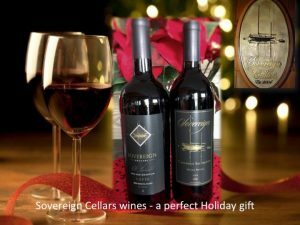 Happy Holidays, from our local winery, Sovereign Cellars.